Massage from a professional helps you feel better. But if you want lasting change or relief after your massage, you must move. Know that your body adapts to how you use it, as well as how you relate to your environment and experiences. In this post I explore the multidimensional importance of movement, why we aren’t moving enough, and some general movement tips I live by and share with my clients. Here’s the bottom line: move more often, move in varied ways, move in ways that feel good, and move with awareness. We have some 360 joints in our bodies, depending on how you count it. Our joints are designed to move when muscles contract in combination. Movement is required for all kinds of circulation. Imagine a stream that isn’t moving. The water stagnates and little bits of sediment and organisms collect and grow. You body is 65% percent water, give or take. Like the stream, you also need to move to prevent stagnation. Movement circulates fluid. Blood moves in a closed system with the heart as a pump, and lymph moves in an open system that requires movement of skin, muscles, and connective tissue in place of a pump. Fluid circulation brings nourishment to every single one of your cells and removes waste. Movement also connects your mind. My favorite definition of the mind comes from Dr. Dan Siegel. The mind is an “embodied and relational process that regulates the flow of energy and information.” You need to move to keep this flow going. 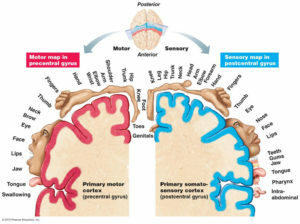 Your nervous system sends and receives messages that determine the way your muscles and connective tissue contract and relax. You have a map of your body in your brain. The more your move with awareness, the more this map gets defined, and the more your muscles are able to relax, fire when needed, and work together like a finely tuned orchestra. Movement can also help process emotions – I know a lot of you probably have experienced how working out keeps your mind calm and emotions balanced. 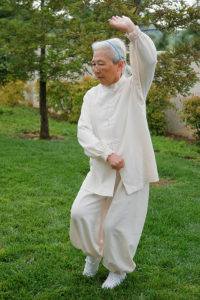 Then there is the ancient idea of life force energy – qi or chi, prana, etc – found in eastern traditions. These words simply give name to the mysterious force that keeps us alive and aware. It is arguable that stagnation of life energy precedes physical ailments. We can experience feeling in the flow through movement, or cultivate knowledge and control of energy directly through esoteric or martial arts. For western minds that need proof, science is getting closer to understanding biology as energy through the lens of quantum physics. When you move often you age gracefully and live longer. A fascinating study was published in 2006 that measured movement of 3,000 people ages 50-79 for a week. The data was correlated with changes in their heath and longevity over eight years. The study discovered that the most active people were five times less likely to die than the least active people! It also proved that moving more frequently was more important than moving more vigorously, and that every bit of time spent moving every day counts. Our American life is built for convenience. More and more job opportunities revolve around computers and offices. And we pay for others to move for us to meet our basic needs for survival. Our food is grown, processed, and cooked for us. Our houses and workplaces are built and maintained for us. Even our bodies are moved for us on escalators and in elevators, in cars and on public transit. The work we still do is supported by furniture, appliances, and technology that limits our need for movement. Our lives have been invisibly outsourced through capitalism and designed by technology to require little movement. This convenience is important when we live in cities and fill our time with work. And technology has obviously taken us to incredible places. But the price we pay is one of disconnection from our environment, each other, ourselves, and our natural birthright to move freely. Many people still work out, play sports, or participate in other outdoor activities on evenings and weekends. But even active people spend the majority of their day sitting (or standing) at a desk. Most everything we do is in front of us and we rarely need to twist, turn, stretch up, lean back, or walk on uneven surfaces. Often, we develop pain and discomfort from not moving, or only moving in certain ways. The pain causes legitimate fear of movement, which makes us move less, which causes more pain, and the cycle continues. I want to acknowledge that many people still do move a lot at work. Maybe you cook, clean, or garden, work in retail, construction, or maintenance, or do bodywork like me. The majority of people in service and labor work do move a lot during the day. Often those movements are repetitive and can cause strain. I will address other aspects of movement in future posts. However, the recommendations below are relevant for everyone. Move in the morning to start your day. Remember that map of your body in your brain? When you wake up, we are often stiff and fuzzy. Moving in the morning can help clarify your map, get your blood pumping, and set you up for the day with an awake, aware, enlivened body. I move at least twenty minutes every single morning. It helps me stay aware of how I use my body during the day, it works out any kinks from not moving enough (or too much) the day before, and transitions me out of sleep. Start small and work up to moving more. Sometimes there is discomfort when you are moving something that you haven’t moved in a while. Movement doesn’t have to be all or nothing. As the study mentioned above shows, literally any time spent moving is beneficial. Any gentle movement you do with breath and awareness supports connection and wakes up your body. Even thinking about movement has been shown to be beneficial in another amazing study. Move in ways that feel good. If something hurts, don’t do it that way. It will just reinforce pain with certain movement patterns. Also, if movement doesn’t feel good, it can easily feel like a chore and you are less likely to do it. When it feels good, movement reinforces itself and motivates you to continue. Sometimes the discomfort from movement can feel productive, so trust yourself and experiment. The more you move, the better you are able to judge whether or not the discomfort with movement is adaptive or degenerative. Build varied movement into your daily tasks. Start thinking of how you can use the activities you already need to do as movement opportunities. That way moving doesn’t need to be another thing on your to do list. Take the stairs. Eat lunch outside or away from your desk. Sit on the ground. Have a walking meeting. Walk to the store and carry your groceries home. Garden at home or in the community. Clean the house. Walk the dog or throw a ball around with the kids. Listen to a book or podcast to learn something new while you run or stretch or cook. Go to a movement class, take a hike, or play sports with friends or family. Move in a variety of ways. Notice what movements you do all the time, and which ones you never do. Try to do more of the ones you don’t do. Be creative! 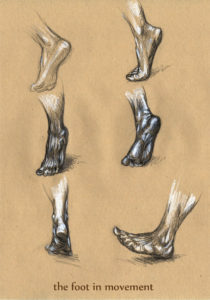 You can even be systematic and notice which joints you move and which ones you don’t. Notice all the directions you can move your joints in and which of these you aren’t doing. Generally, we all do things in front of us – working at a desk, using a phone or computer, driving, biking, etc. Almost every person I’ve ever met can benefit from opening their chest and hips and getting their spine moving. I like to move my shoulders and arms up and back to open my chest. I love rotating my trunk from side to side letting my arms swing. I reach above my head and bend slightly backwards. I get on the floor and move my hips in all directions. After screen time, I move my eyes in a large circle, then move them in one direction while my head goes the other direction. When I’m feeling crunched I bend forward with arms on the back of my head and let gravity lengthen my spine. Find activities you love that get you to move in different ways. Hunched forward all the time at a desk? Try swimming. Always leaning over slightly at a counter and working your back? Try pilates and work your core. Each foot and ankle has 26 bones, 33 joints, and hundreds of muscles, tendons, and ligaments. Yet we wear shoes all day, walk on flat surfaces, and don’t use our full anatomy. Our feet are designed to have an incredible amount of awareness and receptivity that affects the way everything on up the body moves. The more you take your shoes off and the more varied surfaces you walk on, the more you will start to wake up your feet. This increases possibility for movement in all other parts of your body. A whole world opens up when you develop flexible strong feet! Make sure you take it slow – you have a lifetime of wearing shoes and the process is gradual. You don’t have to do boring exercise to feel better. Movement can be playful, exploratory, or sensual. Close your door, put on some music you enjoy, and just let your body move how ever it wants to. Find a sport you love and join a team. Go out, or stay in, and dance. Walk on the grass or balance on a curb. Play in the water. Get down on the floor and try to get up without using your arms. Watch babies and animals and copy their movements. The possibilities are endless. Let me know what movement makes you feel alive in the comments below!